Legal professionals and politicians voiced concerns about the proposed closure of Ballymena’s long-established court house at a public meeting on Tuesday. At the outset of the meeting they were told by Northern Ireland Courts and Tribunal Service Chief Executive, Ronnie Armour, that the Justice Minister’s plans remained ‘at the consultative stage’ but otherwise he had little comfort to offer those who fear that the financial axe is merely poised for a final lethal strike. While Mr. Armour was adamant that both he and Justice Minister David Ford regarded court closures as a ‘last resort’ they were also faced with an unprecedented cut back in funding with no sign of the situation improving. Peter Mallon of the Ballymena and Antrim Solicitors’ Association expressed a common belief in local legal circles that any such closure would be to the detriment of the most disadvantaged in soicety. And he also described any move to shut the courthouse doors as another ‘kick in the stomach’ to the town of Ballymena. Ballymena solicitor Gary Millar spoke for many colleagues when he said that transferring of business to Antrim or Coleraine was not an answer to the long term problem. “I was in Antrim court recently and it was like Paddy’s Market - what will these courts be like when we divert even more business to them?” he asked. Mr. Gerry McAlinden, Chairman of the Bar Council, contended that legal professionals already faced difficulties in gaining access to facilities such as consulting rooms because of ‘overcrowded’ court buildings and Mr. Alan Hunter, Chief Executive of the Law Society of Northern Ireland said his members were ‘fundamentally opposed’ to the axeing of local courts. “Such proposals represent an attack on the very principle of access to justice,” he added. North Antrim MLA and Queen’s Counsel, Jim Allister argued that preliminary consultations on the proposals had failed to get the views of those professionals who actually worked in the court system. DUP Assemblyman, Paul Frew argued that the Department of Justice had ‘simply not grasped’ the impact the court closure would have on Ballymena and the surrounding area. In his opinion, the saving of ‘a wheen of million pounds’ did not justify such a move. SDLP Councillor Declan O’Loan felt that any short term ‘modest savings’ realised by the closure might cost a great deal in the long term. “Many years ago a similar decision was taken to strip Ballymena of its hospital and most would now say that was the wrong decision. I would urge the Justice Minister to take the long term, strategic view and re-think this plan,” he said. Outgoing Ballymena Mayor, Audrey Wales felt that re-locating the court outside the area would cause most hardship to the most financially disadvantaged in society. “People without access to private cars will have to use public transport at considerable expense - in some cases there is not even a direct public transport link available,” she said. The views expressed at the meeting will be conveyed to Justice Minister David Ford. 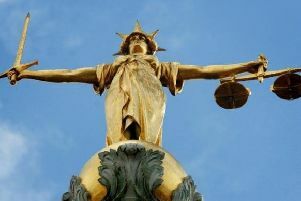 The reponses will be ‘analysed’ over the summer with decisions of the future of the court estate expected in the autumn.